The League of Nations granted France mandate over Syria in 1923. France divided the region into six states based on the sectarian make up. However, almost all Syrian sects opposed France, that is why numerous revolts were outbreaking from time to time. France fell in 1940 during World War II and Syria came under control of the Vichy government till the country wasn't occupied by the British in 1941. 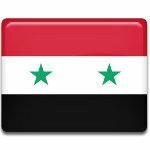 Syria proclaimed its independence in 1941, but it wasn't recognized by France as a republic till January 1, 1944. The last French troops left Syria only on April 17, 1946, thus making this date one of the important holidays in Syria. Despite the fact that the armed confrontation continues between the current government and the opposition, Evacuation Day is celebrated with demonstrations in support of national unity.